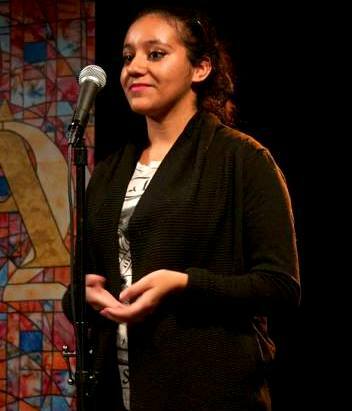 Our poetry editor for May and June is Yasmin Belkhyr. Yasmin is a writer and you might remember her work from issue 1. She was born in Morocco, grew up in NYC, and now writes poetry about honeydew and lightning in South Africa. You can find more of her work in PANK, Hobart, Word Riot, and on Verse Daily. Her work has also been showcased at MOMA P.S. 1, the Lincoln Center, the Kennedy Center, and the U.S. Hall of Nations. Yasmin is the founder and editor-in-chief of Winter Tangerine, an organization that publishes a journal of writing, art, and short films quarterly, as well as interviews with artists and writers across the globe. I want a literary world where the name never matters. I want a literary world that expects more than the typical white, cisgendered, heteronormative male narrative. I want a literary world that accepts no default, that treats every experience with the same respect and importance. There is a spectrum of narrative life. Let’s discover it. What have you read lately that’s inspired you? Okay, got your poetry ready? Good. Click here to submit. Tags: Editors, Poetry Editor, South Africa, Winter Tangerine. Bookmark the permalink.